The second half of This Is Us Season 3 is almost upon us and while This Is Us Fanatics await for the Pearsons to return, let's look back at some of the best, funniest and most tearjerking moments of the first half of the season. This Is Us has managed to have one of its strongest seasons to date and has taken the show to uncharted territories. The Vietnam war has played a major role on the first half of the season but that hasn't taken away from the theme of love and family that This Is Us is known for. 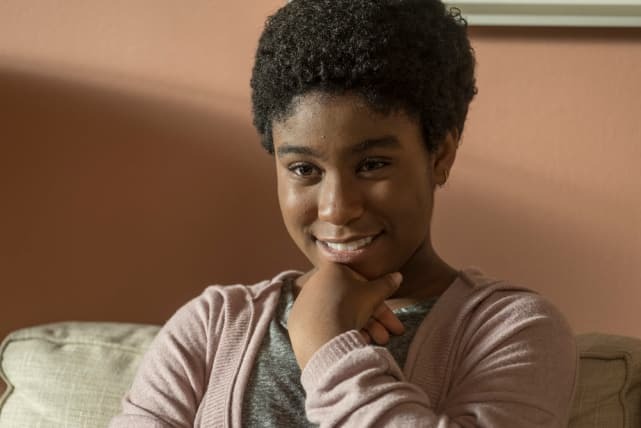 The Pearson clan continues to take us on an emotional ride and has set up so many intriguing plotlines, including the mysterious "her" that has had This Is Us Fanatics talking since Season 3 first premiered. All things considered, This Is Us managed to continue to tell compelling and emotional stories that made us laugh and cry all in one sitting. Join us below as we revisit the first half of This Is Us Season 3, and make sure to hit the comments with your thoughts on this season so far and what you hope to see happen in the second half of the season. This Is Us returns Tuesday, January 15 at 9/8c on NBC. If you need to catch up, you can watch This Is Us online right here on TV Fanatic. Also, feel free to catch up on our This Is Us Reviews! Kevin Pearson has had one of hell of a journey, and through all those ups and downs, he's managed to become the most compelling and loving character on the show. Gone is the self-absorbed actor who only thinks of himself. He has been replaced by a kind, warm and gentle man who puts his loved ones needs ahead of his own and lifts people up even when he is down. Kevin's acting career is at an all-time high, but instead of focusing on that, he's been focusing on discovering more about his father and his time in Vietnam. Kevin has not only learned about more about his dad, but he's also learned more about himself and the kind of man he wants to be. He may not get the same attention as the rest of the Pearson clan, but he has managed to become the heart of the show. This would have been a blasphemous statement to say during This Is Us Season 1 and This Is Us Season 2, but the Randall we once knew is slowly fading away. Sometimes we still catch glimpses of him in certain moments, for example when he flew to LA to apologize to Kate or how accepting he was of Tess when she came out. However, Randall's involvement in the Twelfth District city council race has turned him into a much more selfish person who has become so consumed in fulfilling his own need to fit in with a community that he has completely disregarded the way his family feels, specifically his wife Beth. Randall's need to fix everything was a cute flaw at first, but it has fully taken over who he is now, and it's become a real problem. When Deja first entered Randall and Beth's life on Season 2, she was a troubled girl who was so consumed with her own life and troubles that she never took the time to realize how much her attitude was affecting those around her. Perhaps it was due to the way she was introduced and how all-encompassing her story arc became, but it was hard to like her. However, she has gone from scared little girl to a wise young lady. She has learned from all the trouble she was once in and now uses her wisdom to help the loved ones in her life. She has become a great older sister to Tess and Annie and has opened up to Beth and Randall completely. It's been incredible to watch this young lady's transformation as she becomes more comfortable being a part of the Pearson family. Tess has never been a major focus on This Is Us before. Her story arcs on the first two seasons were few and far between. So it was quite a shock when she revealed to her Aunt Kate that she thinks she likes girls. Perhaps it was because we just saw her selling girl guide cookies a few weeks earlier, but Tess still seemed like a little girl. It wasn't until this moment that we all realized that Tess was, in fact, a pre-teen and like many pre-teens, she is struggling with her sexuality. Considering there wasn't any indication before Tess' talk with Kate that she was struggling with these feelings, it was quite shocking when she came out. Her conversation with her parents was absolutely beautiful, and this exciting reveal will hopefully lead to us learning more about Tess and who she really is. When someone in your family is struggling, it's almost instinct for you to want to help. However, if your sibling is like Nikky, who keeps pushing you away, it would be understandable if you eventually gave up. But most people aren't like Jack Pearson aka Superman. Since the day his little brother was born, Jack took it upon himself to protect his brother at all costs. Even when Nikky was forced to enlist during the Vietnam war, Jack jumped through hoops to make sure he was in Vietnam as well despite not having to enlist himself. He even begged other Sergeants to let Nikky join his squad in an attempt to help him get through his drug and mental health problem. Nikky continued to push Jack away, assuring him he can't be saved, but Jack continues never to give up. Talk about a great big brother. Kate was once a great sister who supported Kevin during the hard times in his career. However, this season she became so consumed with the idea of having a baby, she didn't care who she hurt while getting there. Unfortunately, she hurt both her brothers, when she claimed she was the only sibling who could carry on Jack's legacy. Kevin was hurt by Kate's assumptions but was quick to let it go. Randall, however, was distraught, especially because he has struggled his entire life with fitting in and Kate dismissing adoption as an option made Randall feel as though he didn't belong in the Pearson family. While Kate and Randall made up, Kate lives far away from both her brothers and has been focused on her and Toby for most of the season, and thus hasn't been able to return to being the great sister she was once.